Not so fast, my friend! 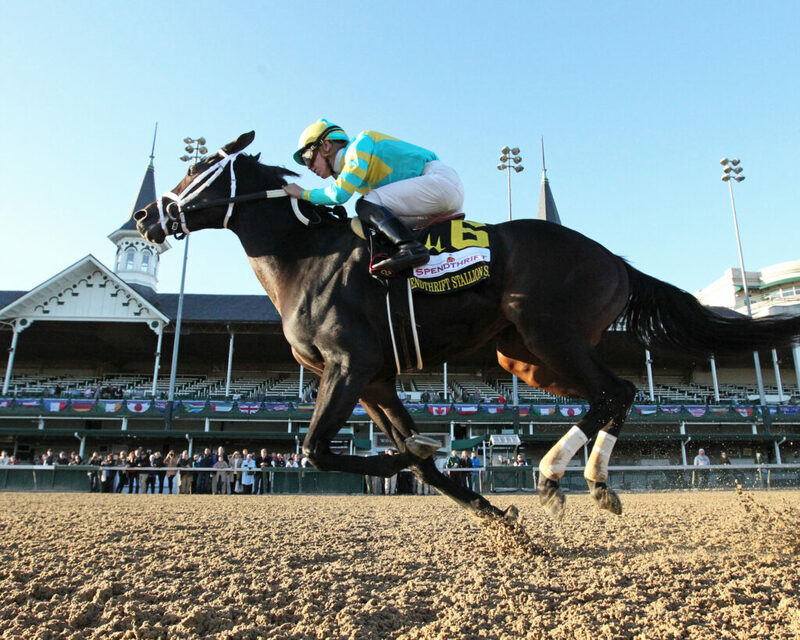 Breeders’ Cup week is finally here, but first, we have some business to take care of. 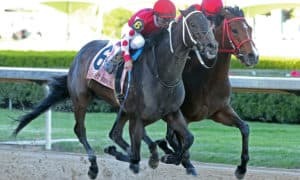 We saw great performances in the state of Kentucky last weekend, with Keeneland’s meet coming to a close and Churchill Downs’ meet opening. 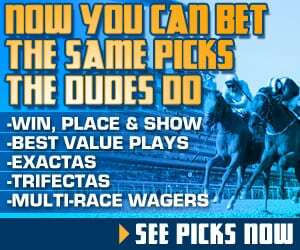 Santa Anita and Belmont had strong cards as well, giving us several horses to talk about in this version of Three Stars of the Week. 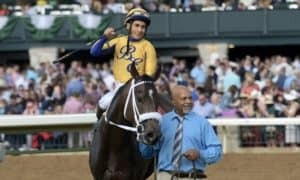 The weekend’s biggest came at Keeneland on Saturday, which was closing day for the iconic track’s fall meet. Bet down to near favoritism, it was Leofric who just held off Prime Attraction to win by a head. He tracked the pace, tipped out three-wide for the drive down the lane, the dug in deep to prevail. The win was his seventh from 13 career starts and pushed his earning to $650,340. 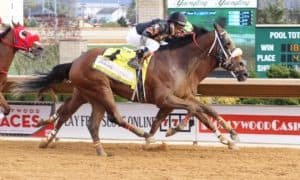 This was his second in a graded stakes this season, following the Grade 3 West Virginia Governor’s Stakes, while giving him his first-ever Grade 2 triumph. This filly keeps getting better with each start. 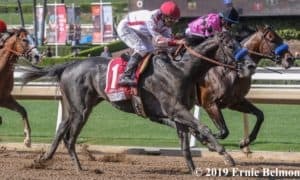 She made it look easy on Saturday in the Grade 3 Autumn Miss Stakes at Santa Anita, winning by 2 1/4 lengths in stylish fashion. 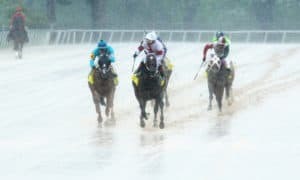 After falling to the middle of the pack early on, she made her move in the far turn, then put everyone away in impressive fashion once getting the lead in the stretch. 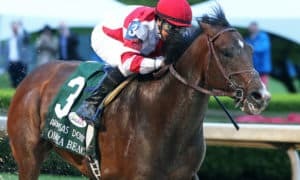 This victory is yet another graded stakes win to add to her resume, which is starting to become very impressive. 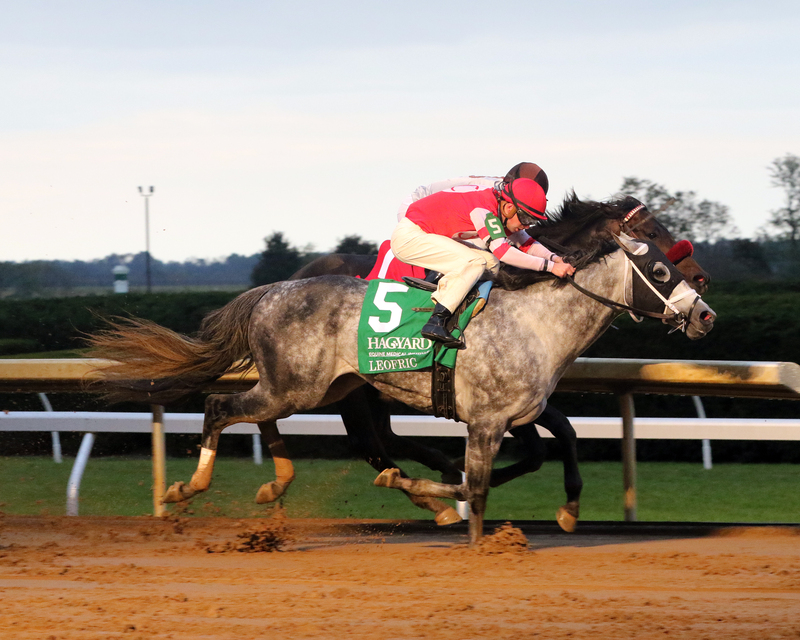 Earlier in the year, she became the first and only horse to ever defeat Rushing Fall in the Grade 3 Edgewood Stakes. This latest win pushed Toinette’s record to four wins from six starts. 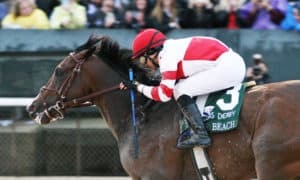 After next weekend, we will shift our focus to the Kentucky Derby, which is something that we will do with this third star. 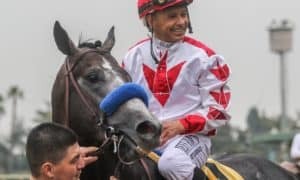 Dunph made his second career start in Sunday’s $300,000 Spendthrift Juvenile Stallion Stakes at Churchill Downs, where he made short work of field to win by multiple lengths. 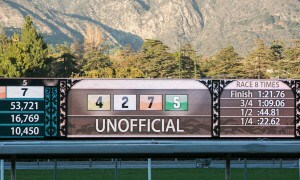 The victory makes him unbeaten in two career starts, which gives hope for what could be during his 3-year-old season. In this race, he basically stalked the early pace before running away from the rest of his rivals with ease. 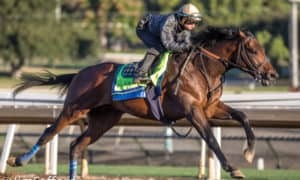 This kind of victory will set him up for tougher competition in his next start, which could come in a Kentucky Derby prep race.